There are several sources of law relating to corporate governance. 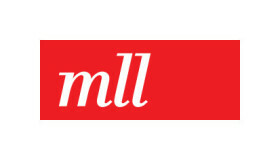 The primary sources of law are the provisions on stock corporations (article 620 et seq of the Swiss Federal Code of Obligations (CO), which is currently under review) and the Swiss Federal Act on Financial Market Infrastructures and Market Conduct in Securities and Derivatives Trading (Financial Market Infrastructure Act (FMIA)), which entered into force on 1 January 2016. Several provisions relating to corporate governance that were previously incorporated in the Swiss Federal Stock Exchanges and Securities Trading Act (SESTA) have been transferred to the FMIA. Such provisions include regulations on market abuse and its sanctions, disclosure of shareholdings and public takeover offers relating to listed companies. The SESTA is still in force but is limited to governing the authorisation and supervision of securities brokers for the professional securities trading. These remaining provisions are expected to be transferred to the Financial Institutes Act, which is still in the legislative process. The FMIA as well as the SESTA are both concretised by ordinances. Furthermore, the Swiss Financial Market Supervisory Authority (FINMA) has the competence to issue directives and circulars. For this chapter, its circular ‘Minimum standards for remuneration schemes for financial institutions’ (in force since 1 January 2010) is of interest. The Ordinance against Excessive Compensation in Listed Companies (OaEC) entered into force on 1 January 2014 and is now fully effective. It is only applicable to stock corporations governed by Swiss law whose shares are listed on a stock exchange in Switzerland or abroad. The SIX Swiss Stock Exchange (SIX) as well as the BX Berne eXchange have been reauthorised by FINMA as self-regulatory organisations under the FMIA. They have issued listing rules that include specific reporting and disclosure requirements. The SIX Directive on information relating to corporate governance (SIX Directive Corporate Governance (DCG)) is of importance, obliging the issuers to disclose certain information with regard to corporate governance in a separate section of their annual reports. While the listing rules are binding, the principle of ‘comply or explain’ applies under the DCG, meaning that if an issuer refrains from disclosing information prescribed in the annex of the DCG, the issuer must point out this fact in the corporate governance report and give substantial grounds for each individual case for which information is not disclosed (for further details, see question 36). Economiesuisse, an influential association of Swiss businesses, has issued a Swiss Code of Best Practice for Corporate Governance (SCBP, issued in 2002 and amended in 2014). The SCBP sets standards in the form of non-binding recommendations. The code primarily addresses listed companies, but may also serve as guidelines for non-listed, economically significant companies or organisations. Furthermore, the ‘Guidelines for institutional investors governing the exercise of shareholder rights in Swiss listed companies’ aim at enhancing good corporate governance by describing best practices for the exercise of shareholders’ rights by institutional investors. These self-regulating non-binding recommendations have been published by an important group of representatives of Swiss institutional investors, proxy advisers and economic associations. Besides the Swiss federal government itself, there are two main governmental authorities, the FINMA and the Swiss Takeover Board (TOB), which are the main regulators and enforcers. On a non-governmental basis, the SIX issues and enforces the SIX listing rules, which first need to be approved by the FINMA. There has been considerable shareholder activism in recent years and proxy advisers such as Ethos, Swipra, zCapital, ISS and Glass Lewis are gaining importance. They are mandated by a growing number of Swiss pension funds to represent their votes in the general meetings of shareholders of listed companies. In 2016, the Swiss National Bank also decided to exercise the voting rights of its share portfolio in regard to corporate governance questions. One of the fundamental and non-transferable competences of the shareholders’ meeting is to vote on the appointment or removal of the members of the board. Therefore, any shareholder may vote on this in a shareholders’ meeting if the agenda of such meeting provides for the appointment and removal of directors, as the case may be. The shareholders’ meeting of listed companies is required by the OaEC to re-elect annually the members and the chairman of the board as well as the members of the compensation committee. Regardless of whether the board convenes a general meeting, a general meeting may also be convened at any time by one or more shareholders together representing at least 10 per cent of the share capital. Such shareholders or shareholders together representing shares with a nominal value of 1 million Swiss francs may demand that an item be placed on the agenda (see question 7). The decision is made by an absolute majority of the voting rights represented at the respective meeting, unless otherwise provided for by the articles of association. The shareholders do not have a direct possibility to require the board to pursue a particular course of action. However, certain matters require a shareholders’ decision (see question 4). matters that are by law or by the articles of association reserved to the shareholders’ meeting. Non-binding shareholders’ votes are not provided for under Swiss law and the legal effects of such votes are unclear. However, non-binding shareholders’ votes may be used to limit the liability of the board towards approving shareholders, provided that the shareholders were fully informed about the matter regarding their vote. any resolution concerning the initiation of a liability action. It is each shareholder’s right to participate in the shareholders’ meeting and to exercise its voting rights. The shareholder may have its shares represented by a third party who, unless provided otherwise in the articles of association, does not need to be a shareholder. A shareholder of bearer shares is authorised to exercise its membership rights (which include the voting rights) at the shareholders’ meeting by presenting the bearer share. A shareholder of registered shares is authorised to exercise its membership rights at the shareholders’ meeting if he or she is entered in the share register. However, the membership rights are suspended until the shareholder complies with its obligation to give notice of the beneficial owner of the shares of a non-listed company. This applies if he or she holds 25 per cent or more of the share capital or votes. In addition, shareholders of bearer shares of a non-listed company must give notice of the acquisition of bearer shares. A failure to comply with this requirement results again in a suspension of the membership rights (see also question 8). Under the applicable law it is not permissible to pass a shareholders’ resolution without a physical meeting. This also applies for direct electronic voting. However, listed companies are obliged to ensure that powers of attorney and instructions for the independent proxy may also be given electronically (indirect electronic voting). One or more shareholders representing (together) at least 10 per cent of the issued share capital may request the convention of a shareholders’ meeting. Shareholders representing shares with a nominal value of 1 million francs or at least 10 per cent of the issued share capital (if that amount is lower) may demand that an item be placed on the agenda. A demand for the convention of a shareholders’ meeting or the request that an item be placed on the agenda must be made in writing to the board. If the board does not comply with such request within a reasonable time frame, a judge may order the convention upon request of the relevant shareholders. Dissident shareholders are not entitled to request the board to circulate their statements among the shareholders. However, shareholders are allowed to make statements and bring forward motions at the general meeting of shareholders. A dissident opinion may be expressed on this occasion within the agenda item concerned. The only duty of a shareholder of a Swiss company - whether controlling or non-controlling - is to pay the issue price for the shares. However, significant shareholders may have certain disclosure obligations with regard to the company and, with regard to listed companies, the SIX (see question 36). Any shareholder who directly, indirectly or in concert with other shareholders acquires equity securities representing more than one-third of the voting rights of a listed Swiss company is obliged to make a takeover offer to the remaining shareholders for all listed equity securities of the company. 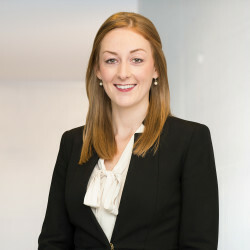 The articles of association of a company may provide for an ‘opting up’, meaning that a takeover offer must only be made by shareholders owning more than 49 per cent of the voting rights, or an ‘opting out’, dispensing shareholders to make a takeover offer regardless of the stake held. The disclosure obligations and the obligation to make a takeover offer can be enforced by the TOB and the FINMA. Any person who acquires bearer shares in a company whose shares are not listed on a stock exchange must give notice of the acquisition within one month. Furthermore, any person who alone or by agreement with third parties acquires shares in a company whose shares - irrespective of whether they are bearer shares or registered shares - are not listed on a stock exchange, and thus reaches or exceeds the threshold of 25 per cent of the share capital or votes must give notice to the company of the first name, the surname and the address of the natural person for whom it is ultimately acting (the beneficial owner) within one month of the acquisition. There is an exemption from these reporting obligations if the indirect owner is a stock-listed company. If the shareholder fails to do so, the membership rights conferred by the shares in respect of which notice of acquisition must be given are suspended and the property rights lapse. If the shareholder gives notice at a later date, they may exercise the property rights arising as from that date. These reporting obligations do not apply if the bearer shares are organised as intermediated securities in accordance with the Swiss Federal Act on Intermediated Securities. In regard to listed companies, the FINMA has recently modified reporting requirements for the discretionary power to exercise the voting rights set out in the FINMA Financial Market Infrastructure Ordinance. In the case of delegated voting rights, the person deciding how voting rights are exercised is now subject to the reporting requirements. Alternatively, the reporting requirements can be met on a consolidated basis by a controlling person for the units controlled by them. Without being (de jure or de facto) a body of the company, a shareholder does not act for and is independent from the company, and therefore cannot be held responsible for acts or omissions of the company. Only in exceptional abuse-of-right situations, the corporate veil may be pierced and an individual shareholder could be held accountable. Certain anti-takeover devices, such as transfer restrictions on registered shares (see question 12), limits on the registration of shares in the company’s share register, the introduction of voting shares (see questions 5 and 12) and the introduction of an increased quorum for specific decisions via a respective provision in the articles of association, are permissible. Different regimes apply to listed and non-listed companies. In principle, new shares cannot be issued without approval by an absolute majority of the voting rights of the shareholders represented at the shareholders’ meeting. The board must carry out a capital increase resolution within three months. This is an ordinary capital increase. Based on an amendment of the articles of association, the shareholders’ meeting may, however, authorise the board to increase the share capital within a period of up to two years. Such authorised capital may not exceed one-half of the existing share capital. Within these limits, the board may carry out an authorised capital increase. In addition, by amending the articles of association, the shareholders’ meeting may resolve on a contingent capital increase. Creditors of new bonds or similar debt instruments issued by the company, as well as employees, may be granted rights to subscribe to shares to be issued (conversion or option rights). In principle, each shareholder has a pre-emptive right to acquire new shares in proportion to its actual participation in the company to avoid dilution. Nevertheless, the shareholders’ meeting can exclude such pre-emptive rights by qualified quorum of at least two-thirds of the voting rights represented in the shareholders’ meeting and an absolute majority of the nominal value of shares for important reasons. In particular, the takeover of companies, equity interests and employee share ownership are deemed to be valid reasons stated by law. However, the cancellation of the pre-emptive rights must not result in any improper advantage or disadvantage to the parties involved. In case of an authorised capital increase, the cancellation of the pre-emptive rights may be delegated from the shareholders’ meeting to the board. However, the shareholders’ meeting must outline the reasons under which a cancellation may be implemented. A general referral to the interests of the company or good causes in accordance with the law would not be considered as a sufficient outline for a delegation to the board. There is an important distinction between privately held and listed companies in this respect regarding registered shares only. The articles of association of privately held companies may require that registered shares can only be transferred with the company’s approval (the board is responsible), which can be denied based on important reasons specified in the articles of association. Alternatively, the company may also offer to the seller that it acquires its registered shares for its own account, the account of other shareholders or for the account of a third party at fair market value (the escape-clause). Lastly, the company may refuse the transfer and the registration of the transferee in the company’s share register if the acquirer does not explicitly state that it has acquired the shares in its own name and on its own account. In case the shares were acquired by inheritance, division of estate, matrimonial property law or compulsory execution, the company may withhold its consent only if it offers to purchase the shares from the acquirer at their real value. A listed company may only refuse to register an acquirer in its share register for two reasons: either the acquirer exceeds a certain percentage of the company’s voting rights, which has previously been declared in the articles of association of the company, or the acquirer fails to state that it holds the acquired shares in its own name and on its own accounts. However, in both cases, a listed company may only prevent the shareholder from exercising its voting rights in respect to the acquired shares but not the transfer of title of the acquired shares. Where listed registered shares were acquired by inheritance, division of estate or matrimonial property law, entry of the acquirer may not be refused. Fully paid bearer shares may be transferred without such restrictions. A company is allowed to repurchase shares up to 10 per cent of its nominal share capital (in case the repurchase is made in connection with transfer restrictions, the threshold is 20 per cent of its nominal share capital) provided that the company has sufficient freely available equity (ie, profit, profit carried forward and general reserves) on a voluntary basis. There are no compulsory share repurchase rules under Swiss law. However, given specific circumstances, the Collective Investment Schemes Act provides for mandatory share repurchases in corporate investment schemes. In general, there are no appraisal rights of shareholders under Swiss law. However, legal entities involved in a merger may provide a compensation payment of fair value to objecting shareholders if an acquirer chooses to squeeze out a minority shareholder. The CO provides for a one-tier board model. However, in larger and listed companies, the daily business is (except for the non-delegable and inalienable competencies of the board) often delegated from the board to the executive management, effectively leading a two-tier structure. The board of directors may assign responsibility for preparing and implementing its resolutions or monitoring transactions to committees or individual members. It must ensure appropriate reporting to its members. In case of listed companies, the members of the compensation committee must be elected by the shareholders’ meeting. The board is responsible for managing the business of the company, unless responsibility for such management has been delegated (see question 21). Generally, the board may pass resolutions on all matters that are not explicitly reserved to the shareholders’ meeting by law or by the articles of association, or delegated to the executive management based on organisational regulations. As the governing body, the board represents the company. It is its duty to act in the company’s best interest. Primarily, the interest of the company is defined in the purpose of a company as stated in its articles of association. In line with the prevailing but not undisputed opinion, the long-term interests of the shareholders as well as those of other stakeholders have to be kept in mind in order to determine what ‘in the company’s best interests’ is. The members of the board or persons who, despite not being appointed as directors, act as such, and who have significant influence on the company’s decision-making process, are jointly and severally liable for damages caused by intentional or negligent breach of their duties. Each member can be held liable with its entire assets. The action may be brought by the company, its shareholders, by the company’s creditors or in case of insolvency by the insolvency administrators. In each case it must be determined if damage is suffered only by a shareholder or a creditor, or if damage is also suffered by the company. The shareholders or the creditors may sue the company directly if they suffered direct damage. If it is the company that suffers a loss and a shareholder only suffered indirect damage (eg, a loss of value of their shares resulting from damage incurred by the company), shareholders can only ask that compensation of such loss be paid to the company. In the event of an insolvency of the damaged company, the creditors are entitled to claim for compensation for the damages of the company, provided that the insolvency administrators have not taken such action. The members of the board have duties of care and loyalty towards the company. These duties require the members of the board to act in the same way as a diligent and competent member would have acted in the same circumstances. The compliance with the duties is, hence, assessed by reference to an objective standard, unless a member of the board is an expert in a certain field, in which case the duty of care of such director will be assessed by reference to a diligent and competent director having the same level of expertise in the relevant field. It is established case law that decisions of the board that are based on adequate information and a reasonable and professional decision-making process do not constitute a breach of duty, even if such decision proves to be wrong retrospectively, provided, however, that board members involved acted in an impartial and independent manner and were free of any conflict of interests when making the decision (the ‘business judgement rule’). If a decision meets these standards, members of the board cannot be held liable for an unfavourable decision. The duties of the members of the board are defined by objective criteria. As the same duties apply to each individual member of the board, they do not differ based on the skills or experience of the respective member of the board, subject to specific cases (see question 19). Therefore, their background, in terms of professional experience, skills, etc, is in principle irrelevant. issuing the annual compensation report on the board’s and senior management’s compensation and election of the compensation committee consisting of members of the board (only for listed companies according to OaEC). Apart from the above, the board is allowed to delegate its responsibilities to third parties, individual board members or committees, or the executive management based on the company’s organisational regulations. Even with respect to non-delegable and inalienable responsibilities, the board may delegate the preparation and execution of its decisions, but never the decision-making itself. There is no requirement by law, regulation or by the listing rules specifying a minimum number of ‘non-executive’ or ‘independent’ directors. Nonetheless, the DCG contains specific disclosure obligations for non-executive members. And the SCBP recommends that the majority of the board should consist of independent members, meaning non-executive members who have either never, or at least not for the past three years, been members of the senior management, and who have no (or comparatively minor) business relations with the company. There is no mandatory provision on the minimum or maximum number of seats on the board. The SCBP recommends that the size of the board should match the needs of the individual company and be composed by members of both genders. However, often companies set minimum or maximum sizes of their boards, or both, in their articles of association. Potential board members do not have to meet any formal prerequisites with the exception of being a natural person and not a legal entity. It is required by law, that the company must be represented by at least one person who is resident in Switzerland. However, it is sufficient if this person is an executive officer. In addition, the OaEC obliges listed companies to set a maximum number of permissible mandates a board member may hold in the management or administration of other companies. In some regulated industries, like the financial markets, it is, however, required that members of the executive bodies have a proper business conduct and the required knowledge and experience (‘fit and proper’). In regard to gender diversity, there is no law stating a quota for women within the members of the board of directors or executive management. Nevertheless, the Swiss government intends to implement a guideline for listed companies with more than 250 employees to have a minimum of 30 per cent women on the board of directors and 20 per cent in executive management. The guideline shall be implemented on a ‘comply or explain’ basis. Currently, according to the Schilling-Report 2018, the trend with respect to gender diversity on the executive boards of Switzerland’s largest companies is disappointing: after the encouraging figure reported last year, the share of women on these boards has fallen again. Vacancies on the board can only be filled by the appointment of a new member by the shareholders’ meeting. Unless otherwise provided in the articles of association, the board may appoint a new chairman for the remaining term of office, if this position becomes vacant. SIX-listed issuers are required to disclose detailed information on individual board members, the organisation of the board and its committees as well as its compensation. The legal basis for these disclosure obligations is found in the DCG. Lastly, the identity of any member of the board will be disclosed in the commercial register. With the exception of banks and insurance companies, there is no law that requires the separation of the functions of board and senior management (including the board chairman and CEO). The SCPB nonetheless recommends - by emphasising the importance of keeping the balance between direction and control on the senior management level - either separating the two functions or adopting other adequate control mechanisms, such as the appointment of an experienced non-executive lead director. It is common practice in Switzerland for the CEO not to be a member of the board. There are no mandatory committees for non-listed companies. For listed companies the OaEC requires the establishment of a compensation committee, whose members have to be elected by the shareholders’ meeting each year. For some banking entities, an internal audit committee and a risk committee are mandatory. Otherwise, there are no requirements or restrictions relating to board committees under Swiss law. The SCBP also recommends establishing further committees, such as a nomination committee. Moreover, executive committees are also known in Switzerland. In order to prepare the annual general meeting (AGM) of shareholders (board resolution on the agenda) at least one board meeting is required per year. However, the SCBP recommends for listed companies that at least four annual meetings should be held, depending on the specific requirements of the company. Moreover, each board member is entitled to individually request the chairman to convene an immediate meeting by stating the reasons for the request. In general, companies are not required to disclose any board practices. An exception is made for listed companies. The DCG asks companies to disclose a variety of information including their internal organisational structure. For non-listed companies, it is in the exclusive competence of the board to determine the remuneration of its members. Under the OaEC, in force since 1 January 2014, Swiss companies whose shares are listed on a Swiss or foreign exchange are obliged to annually submit the board’s proposal on the compensation of the board members, the senior management and the advisory board to the shareholders’ meeting for a binding vote (binding say-on-pay; see question 37). Contracts between the company and its members of the board or the senior management on which their compensation is based are limited to a maximum term of one year. Loans or other transactions specified in the OaEC between the company and members of the board, the senior management or the advisory board are only admissible if provided for in the company’s articles of association. Further provisions on disclosure regarding the remuneration of members of the board as well as other transactions can be found in the CO, the DCG and the SIX Directive on disclosure of management transactions (DMT). The CO requires that companies whose shares are listed on a stock exchange provide additional information in the notes to the balance sheet about all remuneration distributed to current and former members of the board of directors, to current and former members of the executive board, to current and former members of the board of advisers, and to close associates of such persons. In addition, the notes to the balance sheet must contain specific information about certain loans and credit facilities. 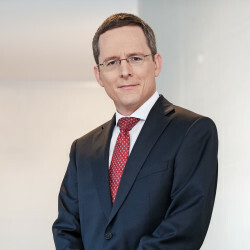 The DCG requires all issuers with a primary listing at the SIX, irrespective of whether they are incorporated in Switzerland, to disclose information on the basic principles and elements of compensation and shareholding programmes for members of the board and senior management as well as the method for their determination. The DMT obliges listed issuers to disclose any buy or sell transaction concluded by the directors and members of the senior management in the respective issuer’s equity securities or financial instruments. The remuneration of the senior management is determined by the board. There is no regulation in regard to the determination of the executive management’s remuneration amounts except for the OaEC (see question 28). However, the remuneration must be justifiable both in regard to the financial situation of the company and the contribution of the individual manager to the company. This is in line with the established case law of the Swiss Federal Supreme Court in respect of the compensation for members of the board and, furthermore, corresponds with the principle of duty of care and loyalty of board members, which also applies when determining the compensation for the senior management. The Swiss Supreme Court reviews in accordance with its settled case law remuneration decisions with certain restraint, as such decisions are essentially based on commercial experience and the board is best placed to take such decisions. In the event of an obvious disproportionate remuneration, the judge may impose its refund to the company. Under specific circumstances it may even give space to criminal actions for disloyal management. It is generally considered permissible for companies to insure their directors and officers against D&O liability as well as paying the premiums. This is standard practice in nearly all companies in Switzerland. There is no explicit rule of law with regard to the indemnification of directors and officers. Moreover, as far as it is apparent, there is also no established case law in this regard. In general, it is seen as admissible (at least as long as no bankruptcy proceedings are commenced) that a company advances cost in connection with lawsuits and official investigations in relation to a claim for compensation of a third party against a director. The company may only envisage reclaiming such advances in case of an evident breach of the director’s duty of care. 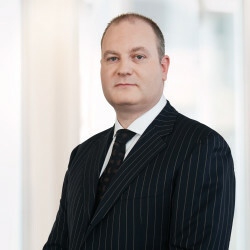 If a director has not breached its duty of care intentionally or with gross negligence, is acquitted of the charge or the dispute is settled judicially or extrajudicially, the company may finally bear the cost and indemnify a director for liabilities incurred in their professional capacity. In case of an intentional or gross negligent breach, indemnification seems, in principle, not acceptable. The preclusion of liability in advance is not possible, neither through charter amendments nor any other shareholder action. But, the shareholders may vote in favour of granting discharge to the directors and officers for the preceding business year at the AGM. By doing so, the company itself and all shareholders voting in favour of the resolution are excluded from bringing forward any action against the directors and officers for facts known at the time of the shareholders’ meeting. Shareholders not participating at the shareholders’ meeting or voting against the discharge are precluded from taking action at the end of six months following the shareholders’ vote on the discharge. Employees do not play a specific role in corporate governance and they are not entitled to be represented on the board. There is no such requirement under Swiss Law. There is also no practice in this regard. The articles of association along with further information on the company must be filed with the commercial register at the registered office of the company. Via the commercial register, the articles of association can either be accessed directly or ordered online (for further details, see question 36). However, the organisational regulations of the board, in general, do not have to be made publicly accessible. Nonetheless, they are often made available on the websites of listed companies. First, anyone who acquires or disposes of shares (or options relating thereto) of a Swiss company that is listed, at least partly, in Switzerland, or of foreign company mainly listed in Switzerland must notify the company and the stock exchange within four trading days of reaching, exceeding or falling below the thresholds of 3 per cent, 5 per cent, 10 per cent, 15 per cent, 20 per cent, 25 per cent, 33.3 per cent, 50 per cent or 66.6 per cent of the voting rights. Second, SIX listing rules set periodic reporting obligations obliging issuers to publish at least bi annual financial statements in accordance with the applicable financial reporting standards, as well as to publish and keep updated dates of major importance to investors in a corporate calendar. Issuers are also subject to regular reporting obligations with regard to, inter alia, information concerning the issuer or its capital structure. Third, issuers listed on the SIX must inform the market of potentially price-sensitive facts (ie, facts that are not publicly known and that (from an ex ante perspective) are capable of leading to a significant price change), which have arisen in the company’s sphere of activity (ad hoc publicity). Fourth, the DCG obliges its issuers to include a separate corporate governance section in their annual reports on information on management and control at the highest corporate level of their company. The information to be published (or the substantial reasons for their non-publication - the ‘comply or explain’ principle) comprises information on the company’s group and capital structure, its board, senior management and auditors, compensation, shareholdings and loans, shareholders’ participation rights, and change of control and defence measures. Last, members of the board or management committees are required to report within two days to the company transactions in its shares, convertible and purchase rights on its shares, or financial instruments. The issuer must notify the SIX within three trading days of such notifications. Since the fiscal year beginning in 2015, the OaEC requires the shareholders’ meeting of stock-listed companies to vote annually on the aggregate amount for the compensation of each member of the board, the senior management and, if such exists, the advisory board. This vote is binding for the company, which means that every compensation needs to be ratified by the shareholders’ meeting. This ratification can, however, be retrospective or prospective. The details of this binding say-on-pay need to be specified in the articles of association. In general, the vote shall cover a one-year period. However, it is admissible to set, as an example, the period for the compensation of the board to its term of office, which is often the year between one AGM and the next. There can also be several votes on different components of the compensation (eg, fixed and variable) and the vote may set an exact amount of compensation or a maximum amount. Furthermore, some companies have their shareholders vote on a non-binding consultative basis on the compensation report. There is no equivalent obligation for non-listed companies. The election and removal of directors is an inalienable power of the shareholders’ meeting. In general, individual shareholders neither have the right to nominate directors nor the right to be represented on the board. However, shareholders who alone or together with others hold 10 per cent of the share capital or shares with a nominal value of at least 1 million francs of the company (these conditions may be eased but not tightened in the company’s articles of association) may demand from the company (the board is responsible) that an item be placed on the agenda of the shareholders’ meeting. Such item can consist of the appointment of a specific person to the board. Such right needs to be exercised before the shareholders’ meeting is called, which by law has to be done at least 20 days before the meeting (this deadline may be prolonged but not shortened in the articles of association). Furthermore, each shareholder (including those holding only one single share) may at the shareholders’ meeting raise motions within the agenda items. Accordingly, a shareholder may nominate a director at the meeting under the common agenda item ‘appointment of the board’. In case the company has different share classes, the shareholders of each share class are entitled to appoint at least one representative to the board. Each shareholder is entitled to attend the shareholders’ meetings, to vote, to request information and to inspect documents (confidentiality interests of the company reserved, for further details see question 7). In particular, the right to information is regularly used by activist shareholders to increase pressure prior to shareholders’ meetings. As a first step, it is common for activists to seek personal contact with the company’s executive management or board representatives in order to discuss their demands and ideas. If such private negotiations fail, activists often launch public campaigns in order to gather possible support of other shareholders. In such situations, the board is well advised to listen to the shareholders and consider their concerns. The board should closely examine the raised issues and stay in a constructive dialogue with the shareholders. To preserve credibility, it is important that the board’s engagement is consistent. There is no such requirement under Swiss law. However, companies may include certain sustainability topics in their annual report on a voluntary basis. Companies listed on the SIX have the opportunity, by means of an opting in, to inform the SIX that they issue a sustainability report in accordance with an internationally recognised standard. Issuers that decide to make use of the opting in are obliged to publish the report on their website within eight months of the balance sheet date for the annual financial statements for a period of five years. Currently only six companies make use of such opting in. In October 2016, a popular initiative regarding corporate social responsibility (the Responsible Business Initiative) was submitted to the Federal Council and the Parliament of Switzerland. Under the Responsible Business Initiative, companies would be legally obliged to incorporate respect for human rights and the environment in all their business activities. This mandatory due diligence would also be applied to Swiss based companies’ activities abroad. Whether the initiative succeeds is not known yet. There is no Swiss law requiring companies to disclose the pay ratio between the CEO’s annual total compensation and the annual total compensation of other workers. There is no Swiss law that requires a disclosure of gender pay gap information. In November 2017 the Legal Affairs Commission of the National Council (one of the two chambers of the federal parliament) came out in support of the federal government’s plan to require greater gender balance in the boards of Switzerland’s large listed companies. A commission majority (14 versus 11) would like to see a minimum of 30 per cent of board members and 20 per cent of the management of these companies made up of each gender - a 100 per cent female board would fall foul of planned rules too. A majority of the commission wants the transition period to be three years for boards and five years for management teams. This is shorter than the five and 10-year periods in the federal government’s plan. Transition would start once the rules are in force. Parliamentary works will continue in Spring 2018. The gender balance question is part of a larger revision of Swiss company law, which also includes legal changes implementing the successful vote to limit excessive pay packages at some large companies (the Minder initiative, after Thomas Minder, the politician behind it), currently regulated by the OaEC, and at law level in the future. Meyerlustenberger Lachenal offers the full range of services relating to real estate and provides comprehensive advice from the acquisition to the sale of properties and from the planning to the construction and use of buildings and properties.